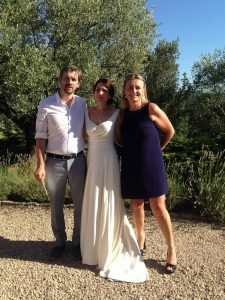 Unique Ceremonies is a team of professional Wedding Celebrants in France, who has been specialising since 2010 in the design and celebration of bespoke ceremonies for secular wedding ceremonies. 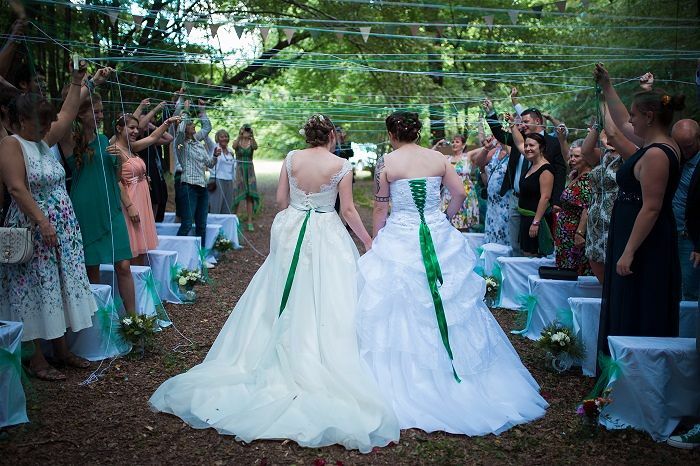 Between them, the Unique Ceremonies celebrants have performed over 300 wedding ceremonies in the Nouvelle Aquitaine region, Provence and Corsica. 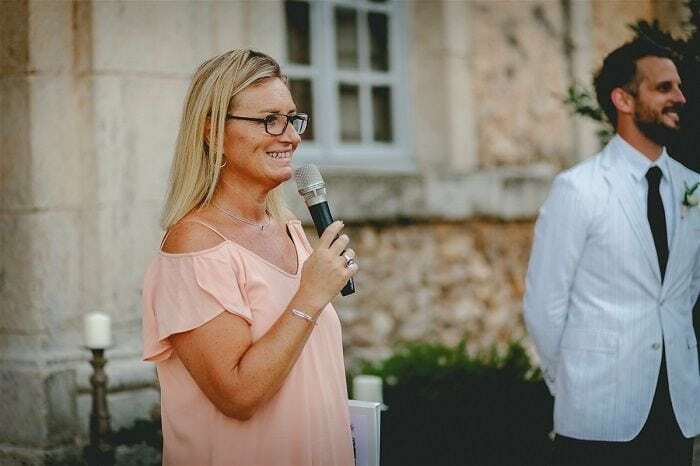 Perfectly bilingual in French and in English, they will have the pleasure to offer you a truly personalised service according to your personalities, your tastes, your values, your story. 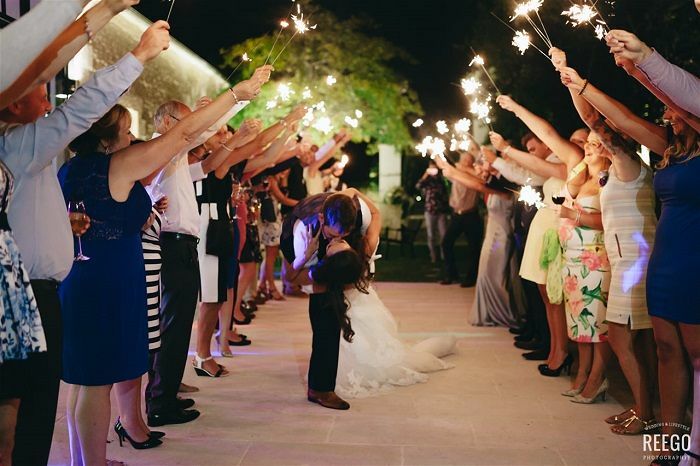 Unique Ceremonies is proud to have built a solid reputation based on professionalism, tradition, originality, emotions and humour. 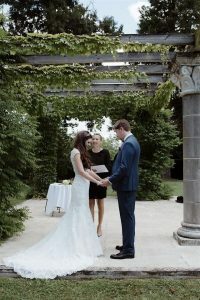 Created in 2010, Unique Ceremonies specialises in the design and celebration of truly bespoke symbolic wedding ceremonies in France for an international clientele wishing to celebrate their union with a high-quality symbolic wedding ceremonies in the most stunning wedding venues available in Nouvelle Aquitaine, Centre Val de Loire & Provence. Unique Ceremonies now counts 6 wedding celebrants, 3 of them being fluent in French and in English based in Nouvelle Aquitaine, Centre Val de Loire and Provence who share the same view: Every couple is unique… So should be their wedding ceremony. Being a wedding celebrant is not just about reading a script on the day. It is about choosing words carefully to express the right emotion at the right time. 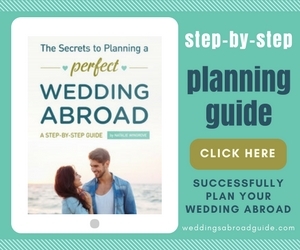 It is about engaging with the couple and their guests, constantly keeping eye contact with the audience, using the right tone of voice and body language. It is about making every single guest feel special as they will have often made a long journey to be present. 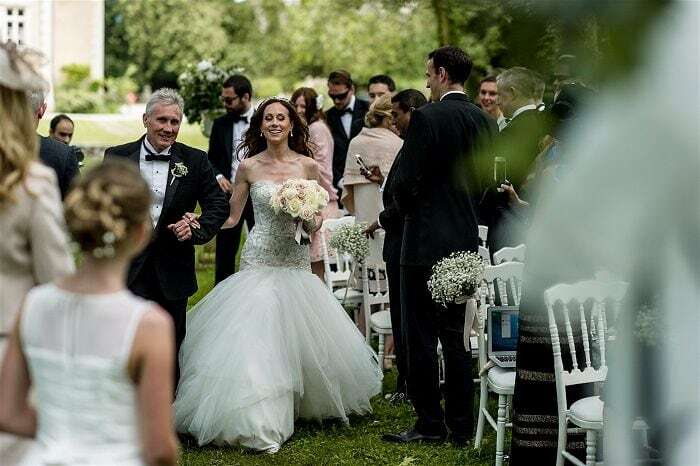 Finally, it is about showing a genuine interest in the couples’ life story in order to design a truly bespoke wedding ceremony, a magical moment, which they will cherish for many years to come. 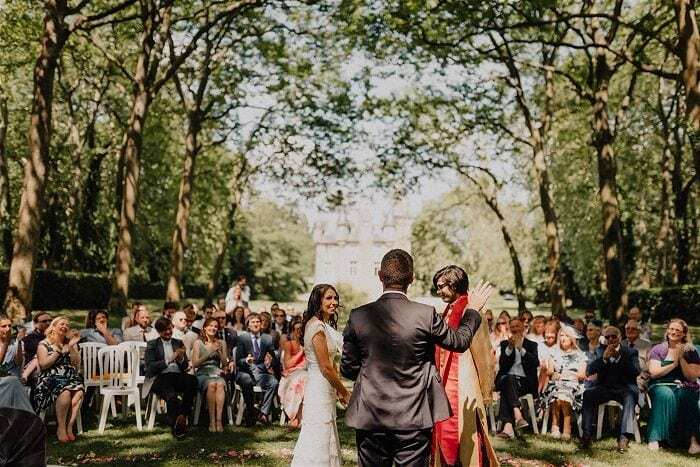 “Magali….A Celebrant, A Friend and an amazing support during a crazy and uncertain experience, when planning our wedding we knew instantly that we wanted to use Unique Ceremonies. 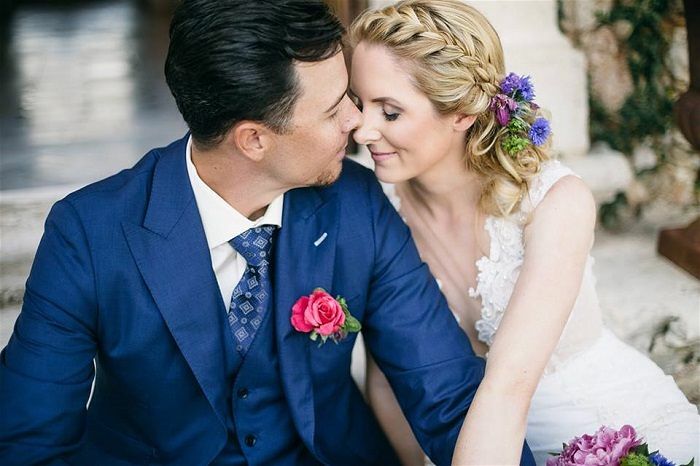 Magali’s thoroughness, her friendly and calm approach was exactly what we wanted on our wedding day. Throughout the process Magali became a huge support to us particularly when trying to source reputable suppliers and she was always on hand with a speedy reply for any queries we had; She was also very patient and understanding when it came to us getting information back to her even when it came to us only sending our vows through less than a week before the wedding. 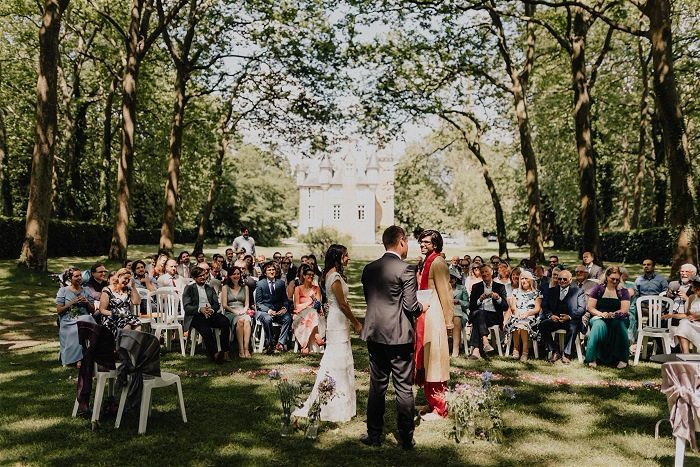 Magali goes above and beyond with every aspect which gave us an amazing wedding ceremony with lots of little surprises which kept it fresh and exciting for all involved. 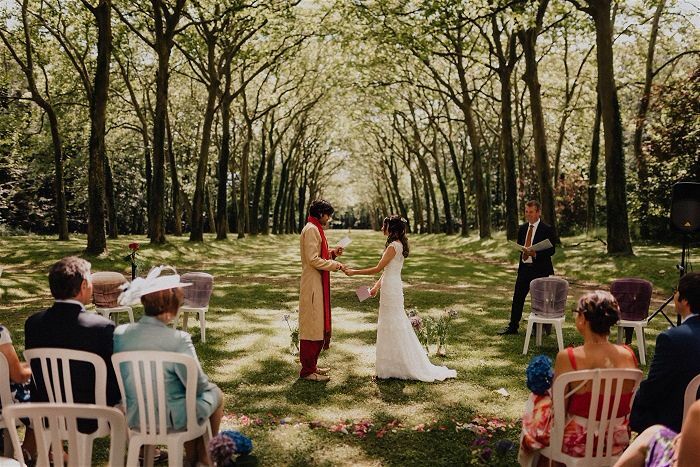 Magali’s calming influence also took away quite a lot of stress on the wedding day we found it very infectious and could not help feeling at ease too even on a day people find extremely stressful and, as she is such a pro at what she does everything went to plan with nothing but smiles and a few tears. 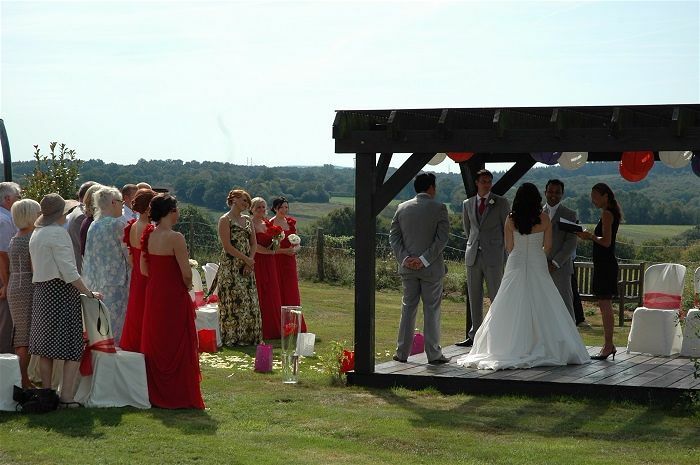 “We were so pleased with the ceremony and really enjoyed working with Richard to bring to life our vision for it. 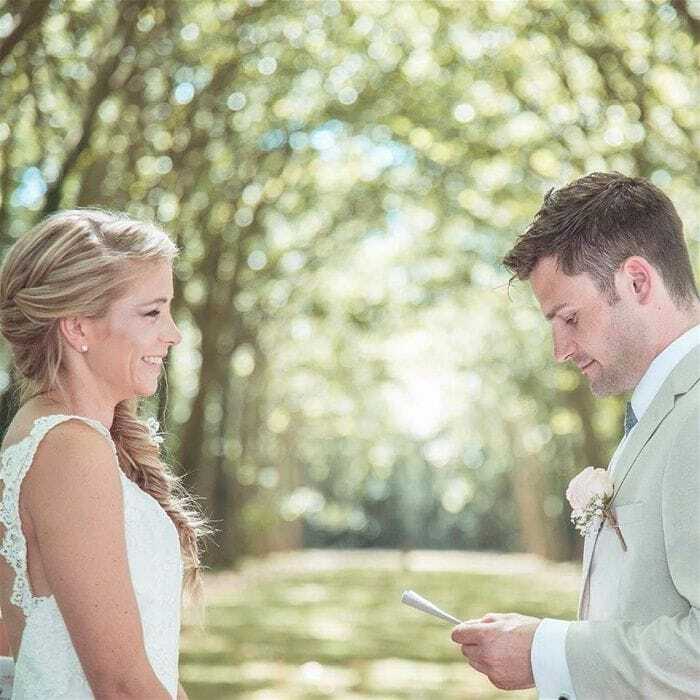 We like that we were asked to fill out questionnaires beforehand so you could get to know more about us, our families and why marriage was important to us. 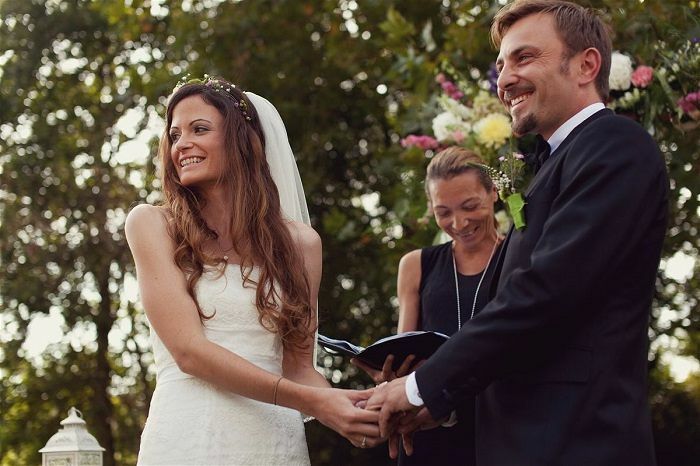 We were really pleased that this all came through in the ceremony. 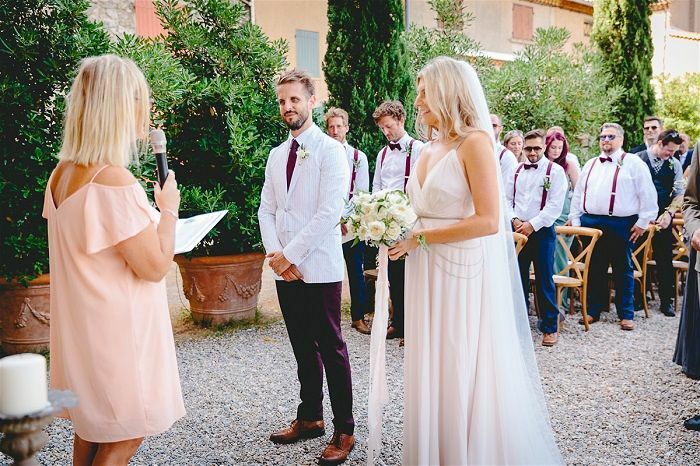 It was also wonderful that Richard was available to meet us when we were in France to talk through the ceremony in more detail including wet weather plans and other aspects that we thought went above and beyond. 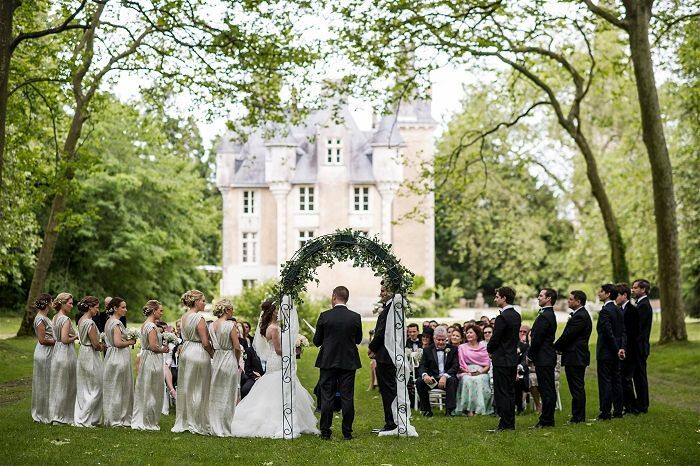 The rehearsal was also extremely helpful and ensured that everything on the day went smoothly. 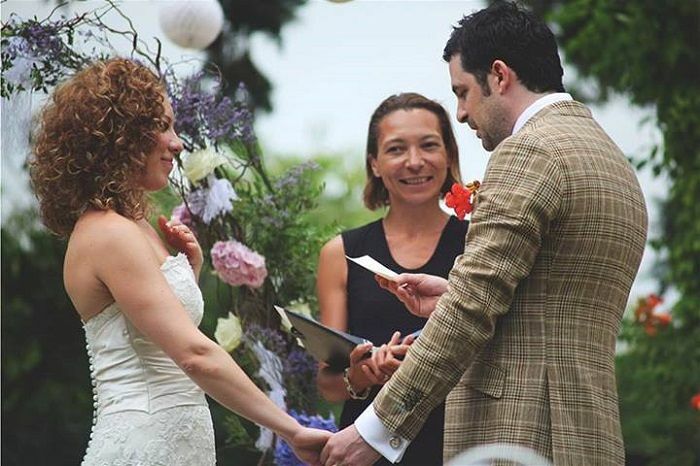 The pack you provided with the certificate and the details of our ceremony was also an unexpected extra that will be a cherished memory. 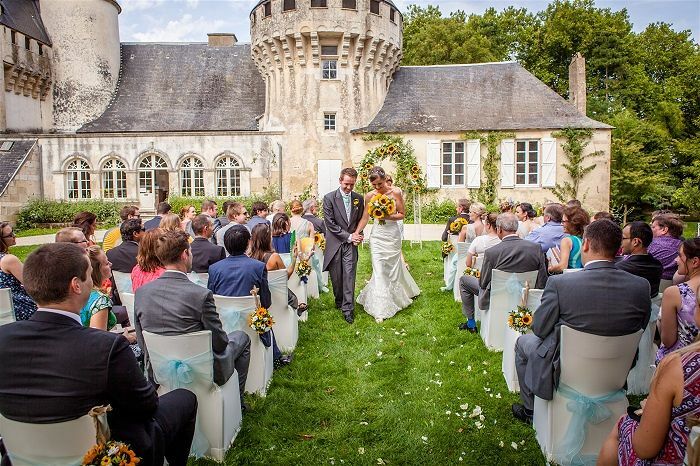 “We had a wonderful day and Virginie did a great job. 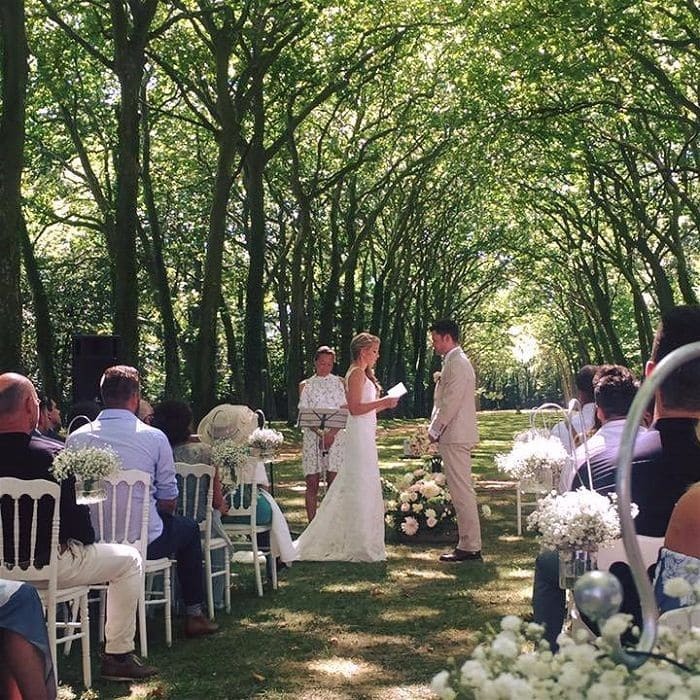 She used our given information in a very thoughtful and also humorously way and everyone was touched by her charismatic and friendly nature, especially under the aspect that many of our guests didn´t really know what to expect from a free ceremony. 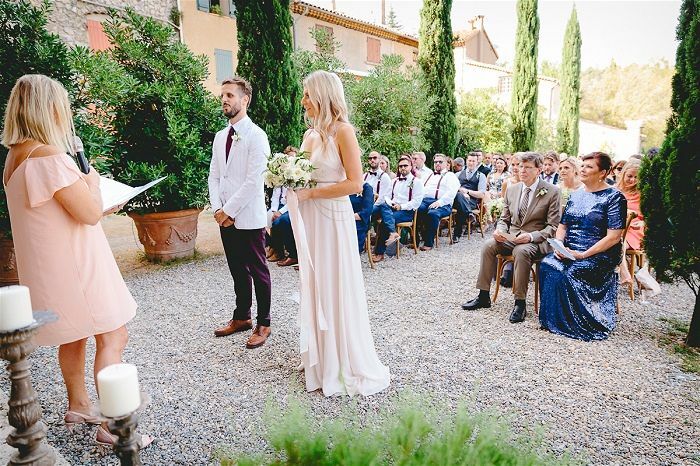 Choosing your wedding celebrant is a very personal matter so trust your instinct! 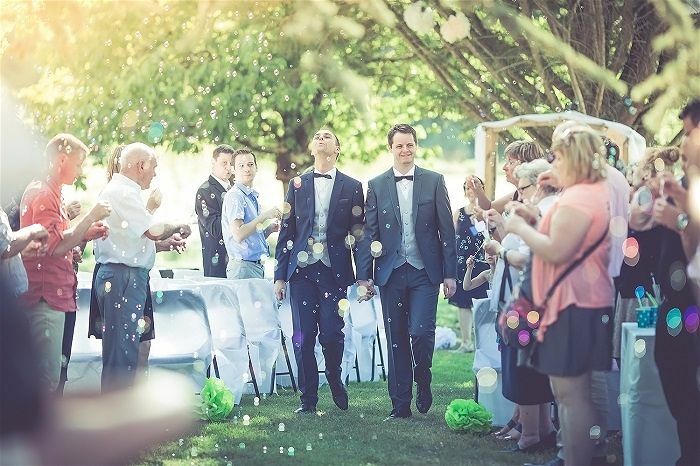 Before going ahead, make sure you meet your potential celebrant, in person or online. 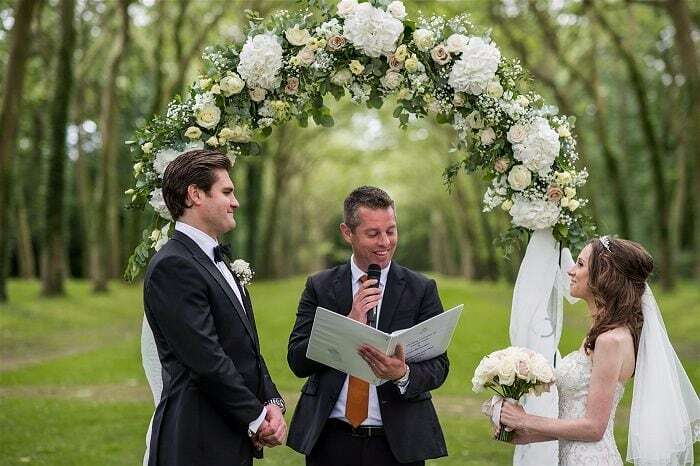 In order to prepare your wedding ceremony, a good celebrant will ask you personal information therefore you have to feel comfortable sharing such information with them. If it is love at first sight, go for it! 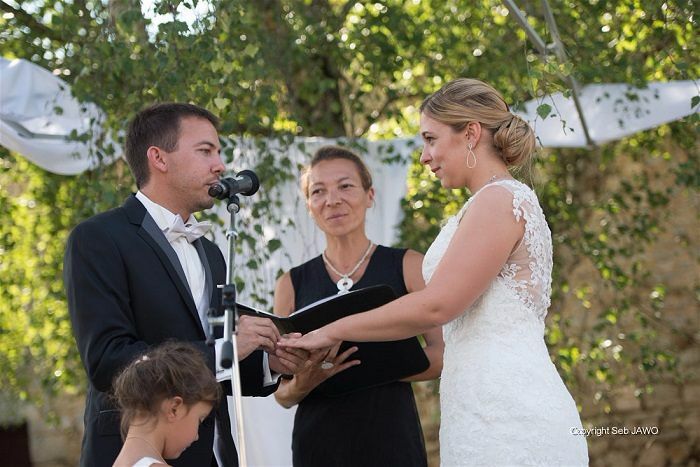 There are no Special Offers from Unique Ceremonies Wedding Celebrants France & Corsica at the moment but be sure to pop back and check. 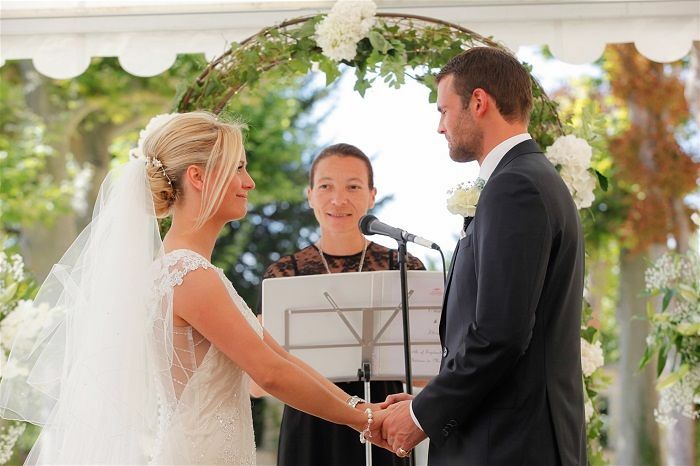 Unique Ceremonies – Wedding Celebrants France, are a team of experience bilingual professional celebrants who specialises in the design and celebration of bespoke ceremonies for symbolic and destination weddings in France (Nouvelle Aquitaine, Centre Val de Loire & Provence). 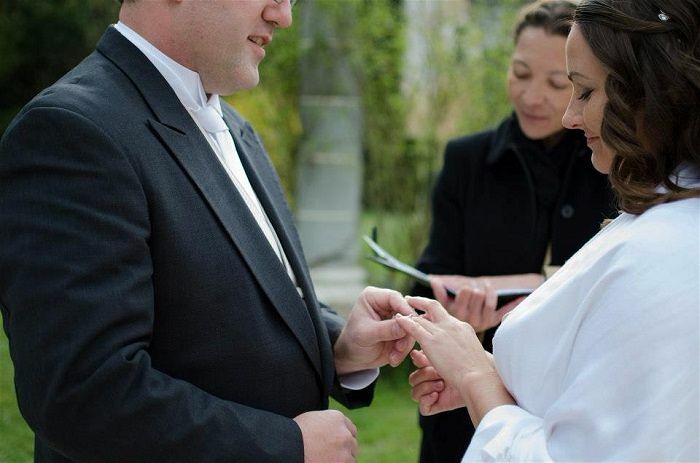 They offer a truly personalised service according to your personalities, your tastes, your values, your story. 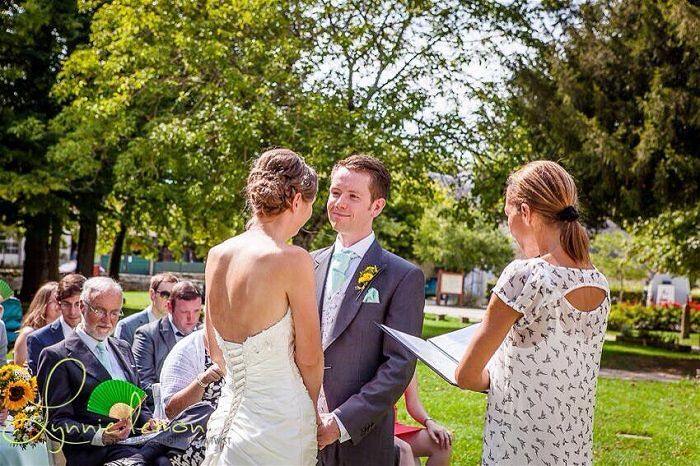 They will help you create a bespoke ceremony which combines tradition, originality, emotions and humour.